My Oreo Creation Contest is now closed now you can vote for your favorite Top 3 My Oreo Creations now through June 30 for your chance to win instant win prizes. 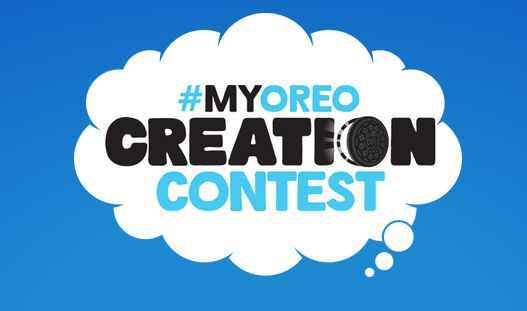 During the sweepstakes period you may visit www.myoreocreation.com or www.myoreocreationcontest.com, register (if you have not already), and follow the on screen instructions to vote for your favorite Submission in the My Oreo Creation Contest. A purchase is not required to vote.You will advance to the Instant Win Game page and receive one (1) Instant Win Game play for that day. If you receive an Instant Win Game winning message, follow the on-screen instructions to claim your prize. My OREO Creation Voting Instant Win Game begins at 12:00 am ET on April 30, 2018 and ends at 11:59 pm ET on June 30, 2018. One (1) Instant Win Game play per day per email address/person during the Promotion Period.Use of any robotic, automatic, programmed or similar entry method to obtain more than one(1) Instant Win Game play per day will void all plays and result in disqualification. Sixty-two(62) Grand Prizes:One(1)Movie Prize Pack (includes projector, portable screen, blanket and $30 FandangoNOW Promotional Code(If winner is a resident of Puerto Rico, he/she will receive a $30 check instead of the Promotional Code)). ARV: $325.Six thousand five hundred (6,500)First Prizes:$6 FandangoNOW Promotional Code(If winner is a resident of Puerto Rico, he/she will receive a $6 check). ARV: $6.